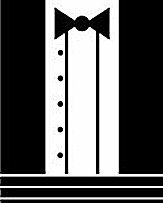 Tuxedo Training will prepare all continuing education documentation for submission to the Division of Real Estate. All you will do is take it to the post office and have it postmarked no later than your birthday when due. Please, for the protection of your license, send it "Return Receipt Requested" when mailing. There will be a slight additional charge to you at the Post Office for this service. You cannot submit it to the Division prior to 60 days before due date. 6. Are you a Broker or Sales Agent? Fee for this service is $15 which includes all documentation preparation, mailer and regular postage.